Napoleon Bonaparte was one of France’s greatest minds. He was a military general that was later known as the first emperor of France. Napoleon dreamt of a military expansion that would impact the entire world. He became famous at the end of the French Revolution. He was an impressive tactician for his time and a great administrator. Later in his career, Napoleon was perceived as a ruthless dictator and his actions led him to failure. He was born at Ajaccio on Corsica but he was sold to France by Genoa. A lot of people may not know this, but Napoleon Bonaparte never succeeded to master French since his spelling was full of mistakes. A lot of historians celebrate Napoleon Bonaparte as a leader because he not only came up with ingenious solutions regarding military training and organization; he also changed the education and established the Concordat with the papacy. The French civil code was also known as the Napoleonic code at that time and it included some modern laws that still apply nowadays. Napoleon Bonaparte at the age of 23. France was facing a lot of changes and this helped Napoleon to achieve many great things. The siege of Toulon is thought to be Napoleon Bonaparte’s first military opportunity. He managed to make the British sail away by bombarding both the British naval and land forces. Men looked up to Napoleon, because he was always in the thick of the fighting. This is how Napoleon gained absolute power in Europe; he was a courageous tactician, with a brilliant mind. 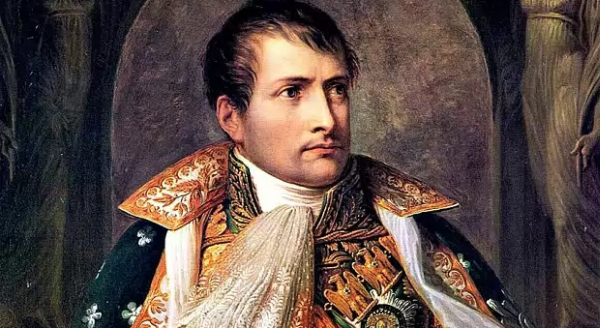 The Concordat with the Pope allowed France to be in good relations with Rome, helping Napoleon Bonaparte ease some of the restrictions that were imposed on the church. It seemed that nobody had been as popular as Bonaparte. He was even voted Consul for life. 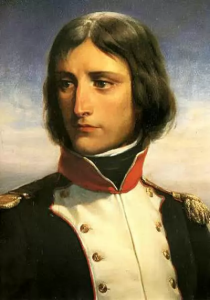 Apart from the fact that he revolutionized the French military, he also had a say in many useful civil reforms, changing the way things worked in France. Even if he was loved by his people, several attempts on his life were made. Napoleon’s greatest dream was to invade Britain, but he never had this chance as Admiral Horatio Nelson defeated him with his naval forces in 1805. Napoleon Bonaparte was renowned for his strategic mind, but some command errors that were made by his subordinates led Napoleon to his defeat at Waterloo. After six years of exile on a small island called St. Helena, Napoleon died in 1821. Napoleon Bonaparte at the battle of Austerlitz in 1805. Painting by Francois Gérard. Napoleon Bonaparte has never ceased to fascinate people. He wrote a romance novel called Clisson et Eugenie. Napoleon was blessed with a photographic memory that allowed him to recall plenty of useful facts. Although he was considered a short man at 1.67 meters tall, it seems that he was slightly taller than the average European during those times. Enjoyed this article? Consider reading also about The French Revolution and The Renaissance – Birth of a New World.